Here are some of the key highlights that will help fashion brands understand the current retail climate and position their businesses to capitalize on the right opportunities. 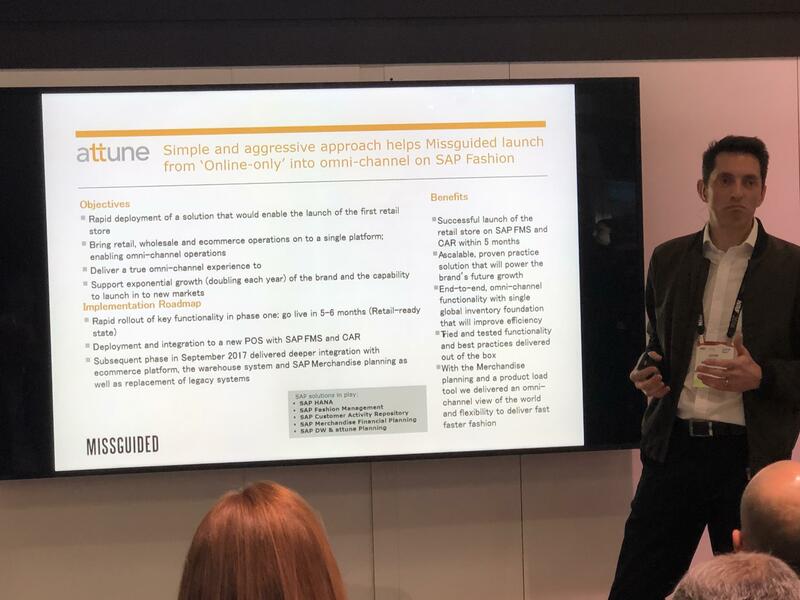 At this year's NRF Big Retail show, our customer Missguided had the honor of presenting their success with SAP Fashion Solutions and their partnership with attune to drive the launch of the brand's first standalone store. Missguided is one of the world’s most exciting young fashion brands. With an experimental approach, the fast-growing UK retailer follows a principle of rapid fashion, introducing masses of new styles every week. Aside from a few concession stores, Missguided was looking to expand the business into different markets including establishing a presence in top shopping centers and high streets across the UK. Moving from a niche online player to a global fashion brand was a challenge - but the brand realized that they needed to be as radical with their approach to tech as they were with their clothing. However, a thorough analysis revealed that even though the company was built on a foundation of delivering a slick digital experience for the customer, it was a lack of overall digital capability that was holding them back. Missguided recognized that the system they chose should be capable of supporting their meteoric growth and entrepreneurial spirit. It also needed to be a fashion industry specific solution; providing functionality that is built on best practices and delivered out of the box omnichannel functionality such as single multi-channel inventory, inventory segmentation and more. After evaluating between Microsoft Dynamics and SAP Fashion Management, the company decided to go ahead with SAP Fashion, citing its capabilities to unite retail, wholesale and ecommerce operations onto a single platform, drive future growth, enable faster fashion, power omnichannel operations and support fashion-specific processes – all within a scalable platform built for the long-term needs of the industry - as the main reasons. 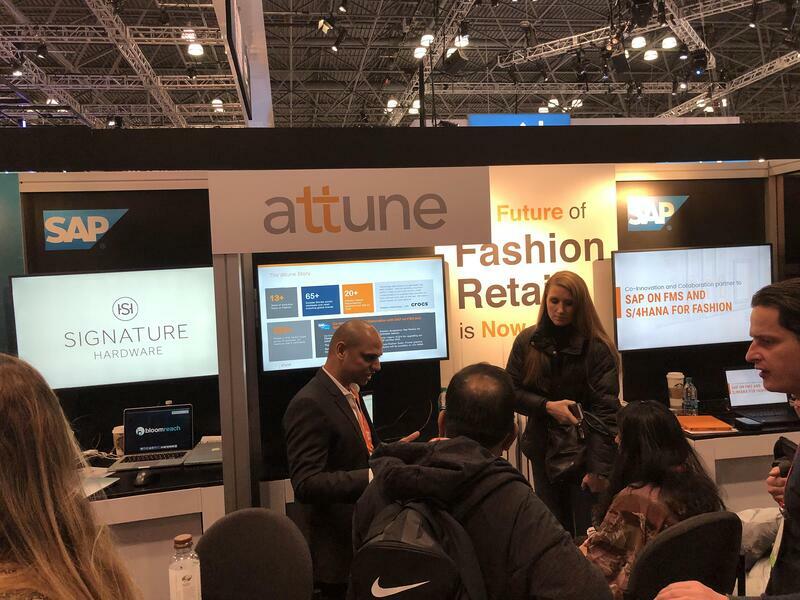 Built in collaboration by SAP, attune and leading Fashion Brands, SAP FMS (upgraded to S/4HANA for Fashion) is an ERP solution which is purpose built for fashion. Missguided is on the path to becoming a true omnichannel player and has its sights set on opening more stores as well as expanding to international markets. The company will continue to build out their IT platform with SAP FMS as the core, supported by SAP CAR; the backbone for customer engagement, loyalty and promotions. Store closing announcements more than tripled in 2017, which led to many believing that the store format no longer worked. According to several sessions at NRF 2018: Retail’s Big Show in New York City, experts argued that stores should be more open to innovation – to solve problems, be scalable and enhance the customer experience. Technology will play a bigger role here – as physical retailers must embrace a new vision and transform the store into something the shopper wants to take part in; into experience centers and fulfillment hubs. Connecting online and physical store experiences remains a big focus. In fact, the technology on the expo hall may not have looked too different from NRF 2017, but the potential of many of the solutions has ramped up considerably. There was a real push to showcase technology that aims to change what retailers are offering consumers at present in an age where digital capability has shifted their expectations. A huge focus was placed on solutions that enhance some of the traditional store functions, specifically connecting retailers’ back-end systems to ensure operational efficiency and high visibility of business performance. There were also emphasis on choosing in-store solutions that can be rolled out globally – not just at a select few stores – to create a true omnichannel customer experience. The turmoil facing the retail industry has been well documented: foot traffic has been falling; more stores are expected to close within the next five years and retail companies are reducing headcounts. However, even though news reports of impending doom have been ample lately, they’re not painting an accurate picture of what lies ahead for fashion retailers. What’s actually happening is far more complex – a convergence. Fashion companies are merging click and brick operations and traditional retailers are powering up to meet their digital opponents head on, leveraging new technologies and making significant investments to go direct to consumer. A surprisingly strong performance of traditional retailers during the 2017 holiday season show evidence of this, and has experts assured that retail isn’t on its deathbed. During the highly-anticipated roundtable discussion “Retail economic roundtable: a preview into 2018”, economists and analysts pointed to strong holiday sales and high consumer confidence levels as reasons for optimism in the coming year. A session that was all about the numbers, it was unveiled that retailers had stepped up their game by effectively using omnichannel strategies including buy online and pick up in store, which was on trend this holiday season. Economists and industry experts believe that the strong consumer economics will continue to rise and reach a record high in 2018 and that retail growth in 2018 is likely to exceed the 4.2% gain made in 2017. 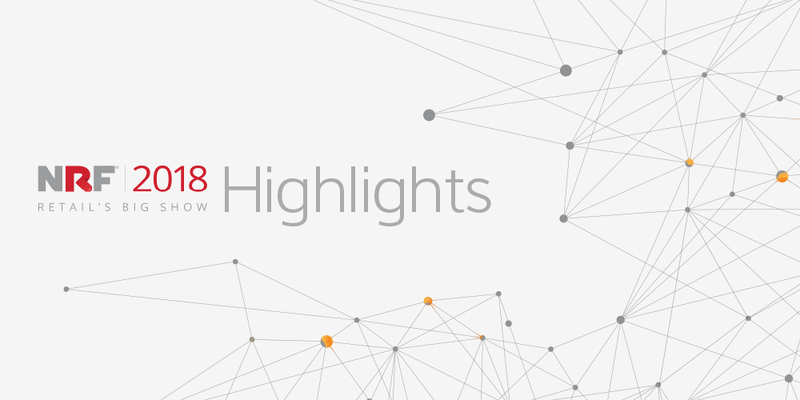 At NRF 2018, Digital Transformation was on everyone’s minds, as fittingly themed “Retail Transformation: It All Starts Here”. With retail in the middle of a massive disruption, many conversations were centered on retail's biggest pain points — and the technology innovations needed to elevate the customer experience. During the panel session “The what and how of digital transformation: Three consumer expectations to meet now “, retail IT leaders and experts stressed on the importance of breaking down barriers between IT and the business side of the company, and making a push towards a “single source of truth”. They cited the way processes are set up internally as the biggest impediment. Infact, this is consistent with a recurring challenge that fashion companies have communicated to the attune team many times over - they’re frustration with disparate systems. Fashion brands have built their technology operations over time, often in piecemeal resulting in increased costs, complex integrations and disjointed customer experiences. Many feel confined in a setup that is inefficient, and muddled with avoidable friction points. Elimination of these friction points is the first step retailers must take to ensure competitiveness in today's digital economy. While there are obstacles to overcome, the promise of channel-agnostic, unified commerce means higher customer satisfaction, stronger sales, more accurate data, and lower overheads. One of the crucial points emphasized during the session was when considering digital transformation, go beyond simply adding digital technologies to a company’s IT ecosystem. Instead, rethink business models, processes, organizational structure and the technologies to develop a better digital transformation roadmap. The key is to look for technology that actually solves a real problem instead of just being "novel"; and to ensure a sustainable foundation is in place to meet the digital demands increasing over time. National Retail Federation’s annual “Big Show in New York illustrated just how profound of an impact technology will have on retail - which means retailers need to adopt disruptive technology if they want to remain relevant among digitally savvy shoppers. The only way to do so is to adopt innovative technologies that can meet — and exceed — customer expectations and remove friction from their shopping journeys.